IMA Saudi Arabia Western Province Chapter Gathers to discuss the new Corporate Governance for Closed Joint Stock Companies. Jeddah, KSA, November 6, 2018– Over 50 members and guests of IMAʼs (Institute of Management Accountants) local chapter in the western province of Saudi Arabia gathered on Wednesday, November 6, to talk about new regulation about Corporate governance for closed joint stock companies set by CMA (Capital Market Authority). As Saudi joint closed stock businesses are expanding with foreign investment into the country and listing in the stock market, CMA has to amend their regulations to ensure transparency and provide as much information as an investor would need for assurance. The countryʼs economy is not at risk of a fiscal crisis, but fiscal policy will need to be tightened further in order to put its finances on a more sustainable footing. 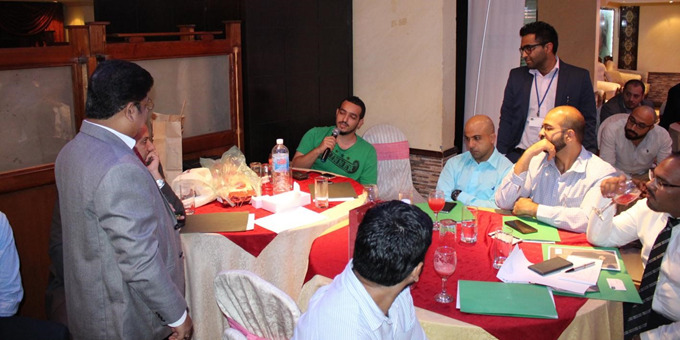 On Wednesday, IMA members and guests attended the event held at the Village Restaurant in Jeddah. Fadi Bouz, Head of Internal Audit and Risk Management Department at Sunbulah Group talked about New Corporate Governance regulations consists of more transparency, controls, auditing and involvement of up-to date information about the organisation. “A means to protect companies and employees during difficult transition periods. Businesses fail due to noncompliance with strategic management. No matter how advanced and enormous the company is, there will always be weaknesses in the controls of set procedures. This is where management should consider adding controls to safeguard company assets,” explains Shoaib Malik, Vice President of the IMA Saudi Arabia western province chapter. Vijay Soni, the chapterʼs president discussed the role of GRC regulators such as the Ministry of Commerce and Investment. (MOCI), Capital Market Authority (CMA) and the Saudi Arabian Monetary Authority (SAMA) in monitoring compliance standards in the country. Fadi Bouz, further explained what corporate governance is and the requirement set by CMA & MOCI (Ministry of Commerces and Investment) and their difference. In closing, the chapterʼs president Vijay Soni, announced that feedback and various topics that is required by the members are welcome so the chapter can work on more seminars. Due to the great turnout, the chapterʼs board members also agreed to hold more current affairs seminars and workshops in the coming term. Visithttps://ksawesternprovince.imanet.org to learn more about the IMA Saudi Arabia Western Province Chapter. Vijay Soni, appreciated the seminar spoken by Fadi Bouz with a small token gift from the chapter. 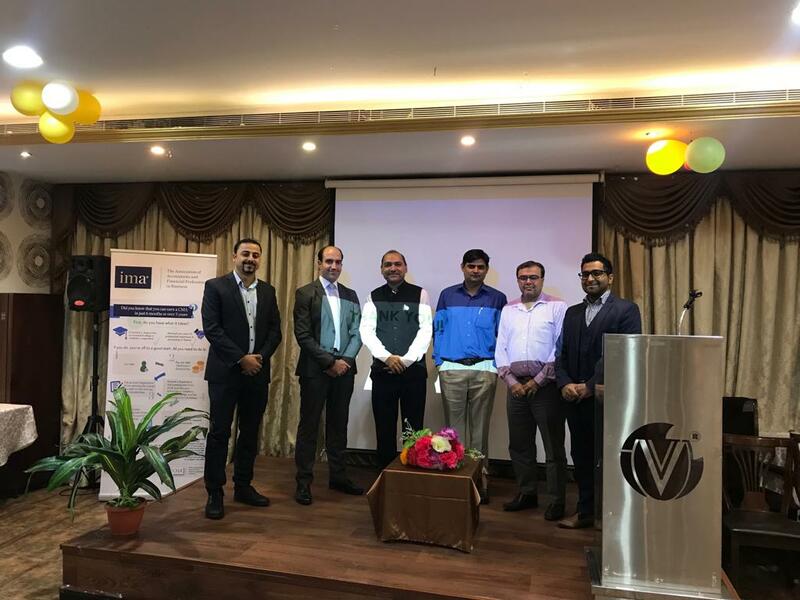 Iʼd like to express my sincere appreciation to board members, Mr Shoaib, Mr Essam, Devendra Singh and Sajjaduallah Ali for their hard work in arranging the event, we wouldn’t have held this seminar without them as it was in short notice said Vijay Soni. About IMA. (Institute of Management Accountants) IMA., the association of accountants and financial professionals in business, is one of the largest and most respected associations focused exclusively on advancing the management accounting profession. Globally, IMA supports the profession through research, the CMA. (Certified Management Accountant) program, continuing education, networking and advocacy of the highest ethical business practices. IMA has a global network of more than 80,000 members in 140 countries and 300 professional and student chapters. Headquartered in Montvale, N.J., USA, IMA provides localized services through its four global regions: The Americas, Asia/Pacific,Europe, and Middle East/Africa. JEDDAH: Over 190 IMA® (Institute of Management Accountants) members and guests gathered to discuss emerging challenges with impending business regulations. The event was organized to help ease the worries of the business community about the impending implementation of in-house IFRS (International Financial Reporting Standard) conversion, VAT (Value Added Tax) and excise tax. The conference also discussed the role of management accountants in helping achieve the country’s Vision 2030. 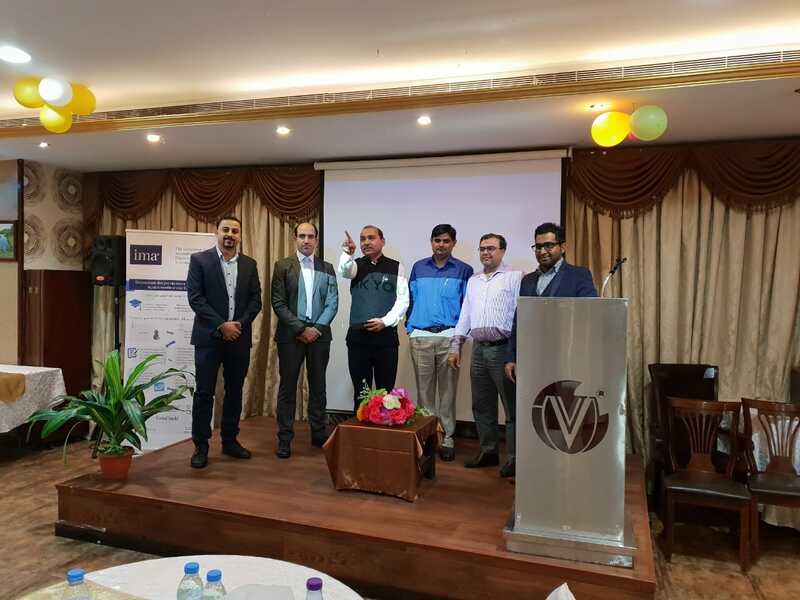 With only two quarters left for IFRS convergence and less than a year for VAT introduction, IMA Western Province Chapter in Jeddah partnered with the Jeddah Chamber of Commerce & Industry (JCCI) to organize the event. Mr Mazen Kutbi, Asstt Secretary General, JCCI opend the forum with a wam welcome. “KSA and all of the countries in the Middle East and GCC are looking to transform and diversify their economies, which include family-owned businesses, and they need the competence of a CMA® (Certified Management Accountant) to help guide and facilitate that transformation,” stated Jeffrey Thomson, president & CEO of IMA underscoring how the CMA certification can help the Saudi economy during this transformation. “CMAs bring strategic thinking, technical accounting depth with business operations breadth, and the ability to convert data into dialogue to make smart choices. This includes data analysis, scenario planning, sensitivity analysis and simulations to support decreased dependence on oil through diversification, moving the focus of growth from public to private, creating an ideal growth environment for SMEs, and, increasing liquidity and solvency of the banking system,” added Thomson. Antar Rafiq, executive director at ACA (Alliance Charted Accountants – Riyadh), showed a demonstration and explanation of how an organization can do the conversion of their accounting standard in-house with appropriate staffing/talent structure, this can reduce outside expert consultancy bill. Dr. Hani Fetyani of HHF spoke about the country’s Vision 2020 and how the private sector can assist KSA in achieving the targets. He also explained that the development goals would have a significant impact on all residents and citizens of KSA. 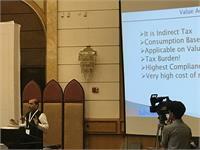 For his part, Vijay Soni, president IMA Western Province chapter discussed VAT and excise tax. Soni led a mini-workshop and explained how the VAT works. He assured businesses that VAT is not difficult to implement so long as they know the right calculation and configure their enterprise resource planning (ERP) system and train all stake holders in the business process. With blend of new talent and understanding, business houses can partner the nation in line with new taxation and compliances regime. 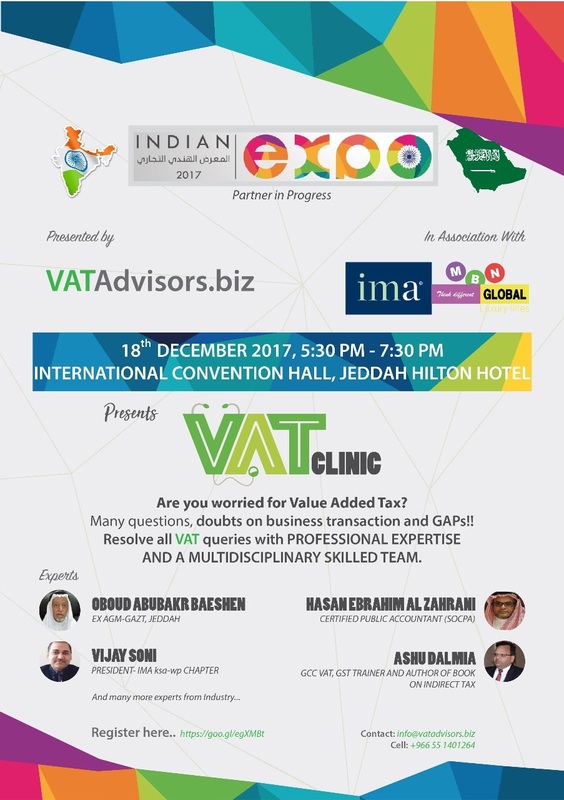 I have seen three of such events on VAT being organised by non profile organisations like IMA, recently and can sense a need for large scale knowledge sharing. Tax department may release dual lenguage regulations to help the business community. This may be coupled with multiple workshops covering different aspect of impmentation viz rule, regulations, business processes, information technology needs etc by various stake holders. Said Soni. “We were not expecting such a large number of people participating especially during a weekday when businesses are running. The support and positive reception we received from our sponsors, speakers, chapter volunteers and members is an indication that everyone wants to know and have a better understanding of these regulations,” explained Soni. Shaikh Mazen Batterjee, Vice Chairman, Jeddah Chamber praised the event saying “the chapter’s dedication to work in moving the focus of growth from public to private and create an ideal growth environment for SMEs. This includes explaining the in-house IFRS (International Financial Reporting Standard) conversion, VAT (Value Added Tax) and excise tax and how these regulations will help the country transform and diversify its economy towards Vision 2030. It is evident that we need the competence and support of finance and accounting leaders to help guide and facilitate that transformation.” I am impressed by the support and service provided by IMA Western Province Chapter volunteer leaders and members- he said. 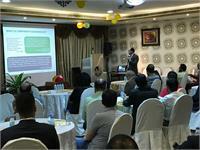 The event was co-sponsored by Arrow Food Distribution Company – Jeddah, ACA in Riyadh and Morgan International. Shoaib Malik, VP the chapter, Nosheen Ahmed and Sahar Sharief received speacial award for their support. "الماليون ورجال الاعمال لا داعي للقلق .عوضا عن ذلك نحن بحاجة للتركيز على فهم سيناريوهات الاقتصاد الحالي والاساس المنطقي لما وراء زيادة ايرادات المملكة غير النفظية والتي تتضمن الضرائب في دول منطقة الخليج في الفتره القادمة" يقول السيد فيجي سوني رئيس فرغ المنطقه الغربية بالاستناد للدراسات عن الظروف الاقتصادية العالمية في عام 2016 م والتي ركزت على الحاجة لسياسات مالية حازمة لوضع مصادر المملكة باستدامه ثابتة .موازنة المملكة تقدر الزيادة المرتبطة في الايرادات غير النفظية ب20 % ما يعادل 199 مليار بالمقارنة مع السنة السابقة وهذه النسية مرجحة للزيادة بسبب الاصلاحات في دعم الطاقة والضريبة على الوافدين ,برامج دعم المشاريع والضريبة المضافة . "في الأونة الاخيرة تم مناقشة ضريبة القيمة المضافة ومتوقع تنفيذها في بداية العام المقبل ,مثل هذا الاصلاح المالي بلا شك له تأثير على قطاع الأعمال ,والتي تتطلب استعداد للتغيرات في ادارة التدفقات النقدية والعمليات في المنشأة " يضيف السيد فيجي . و قدم ندوة عن ضريبة القيمة المضافة للحضور ,TGS Global السيد علاء سويلم وضح الية عمل وتطبيق ضريبة القيمة المضافه في قطاعات مختلفة. وامكانية الاستفادة من خبرات دول متعددة مثل المملكة المتحدة والهند في مثل هذا المجال . أكد في اكثر من مرة التزام الجمعية لدعم المهنيين الماليين عن طريق زيادة كفاءة المنظمات . كما اكد السيد وليد بامعروف الرئيس السابق عن اهمية الالتحاق بدورات المحاسبة الادارية والضريبة . في إختتام الملتقى شكر السيد فيجي المتحدثين والحضور على اهتمامهم ونشاطهم خلال الملتقى . المركز المالي والإداري قدم جوائز قيمة شملت دورات تعليمية مجانية للحضور . كما شكر السيد فيجي اعضاء المجلس في جمعية المحاسبيين الاداريين السادة شعيب مالك , احمد السماك و عصام سالم بالإضافة للسيد محمود من المركز الاداري والمالي وجميع المتطوعيين . PICTURE 1 - IMA WESTERN PROVINCE’S BOARD AND EVENT MEMBERS (LEFT TO RIGHT). AHMED SAMMAK, ESSAM SALEM, VIJAY SONI, MOHAMMED ZALEE, NADEL NABIL, DEVENDRA SINGH, SHOAIB MALIK, WALEED BAMARAOUF, SHERIF ARYAN. 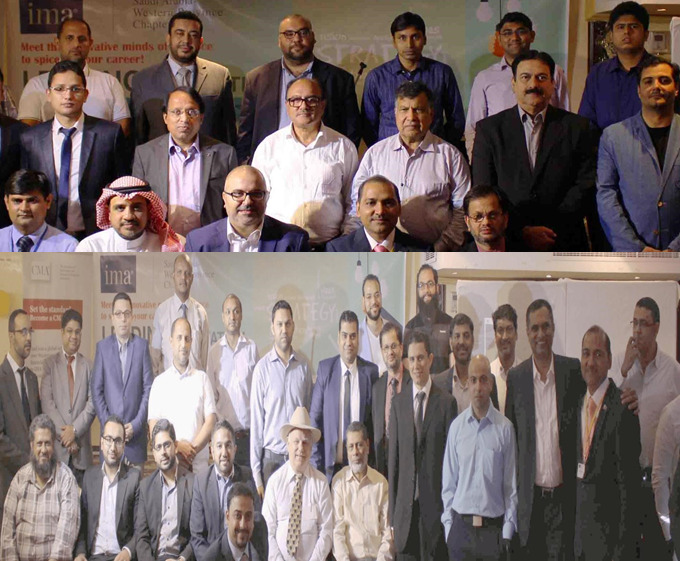 17th October 2016 – Over 70 members/guests attended the event arranged by IMA Western Province Chapter – Jeddah to meet the Innovative Minds of Finance. The first in the year 2016-2017 chapter, IMA Western Province Chapter held at Fine Grill Restaurant in Jeddah. 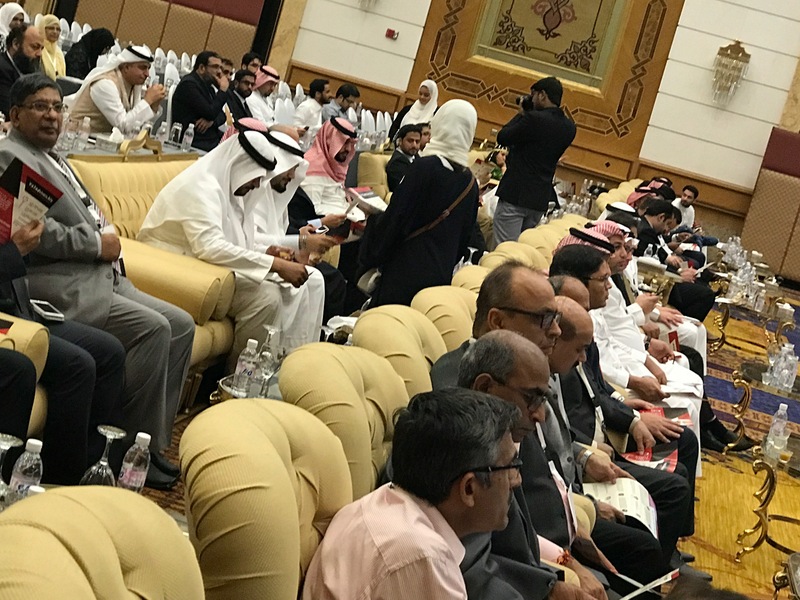 The chapter gave an upbeat message to the audience of the seminar, saying due to fluctuation in the Market and changes in the Saudi Arabia Market, new innovation is highly encouraged to secure a right job with the right mind set in order to progress its career and help the organisation to shift to better level. 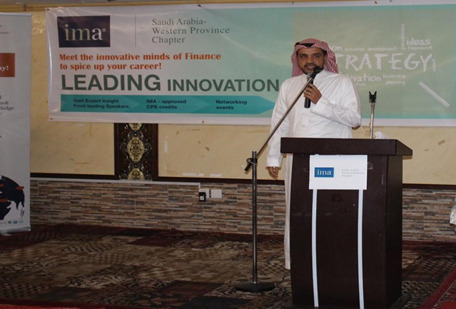 “Due to new regulations, market fluctuation and new challenges, Saudi Arabia is now looking for more qualified, more innovative and smarter minds in the market to help the country economy to grow” said Shoaib Malik – Marketing Director, IMA Western Province Chapter who started the talk after welcoming the audiences. The event consisted of many speakers who left the great messages to the audiences. Vijay Soni – Vice President IMA Western Province Chapter explained the nature of creating this chapter and the importance of CMA (Certified Management Accountant), how such qualification helps the employees and the organisation. The chapter announced that IMA has announced to give scholarship to few students from each university, arrangements with Jeddah based universities will be agreed upon soon. Vijay Soni has introduced the chapter members and the speakers, along with highlighing the relevance topics of the current economic situation to the audiences. Mr Krish Jangal (Innovation practioner - Group IT Manager for a leading FMCG) the main speaker was warmly welcome to present the talk about innovatiion. Krish has left a great message to the audience as there are difference between Innovation and inventor, given an example of Motorola and Iphone. Motorola was the first mobile phone invented but Iphone was the first innovator of smart phones, that’s why you see more half of the consumers with Iphone. No matter what, one must not stop innovation new things whether in personal life or work life even if you are demotivated. President IMA Western Province Chapter saying few words about current affairs, the benefit of CMA and chapter. arranged by the current members as he sees the potential and energy the team members have. Audiences had many more questions which Mr Waleed cleared for them such as the potential growth of CMA and procedures. Panel discussion was called out where the speakers along with one of the audiences Mr Blaire Seaford – consultant for Ministry pariticipated and Mr Naveen Kumar who highlighted importance of destrictive innovation and its role in financial professional life. Many interesting topics were discussed such as a “How to convince management about new innovations, convincing management about the course an employee wishes to take” etc. Such questions raised an interest in the conversations as it has cleared the concept of the seminar and confusion. 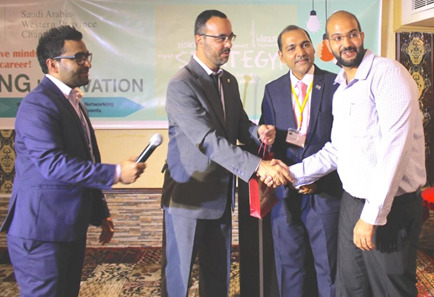 Before the dinner was called out, a raffle draw was announced where all audiences drops their name or business cards and Mr Ahmed Sammak – Membership Development Director & Board Member – called out the winner. The lucky draw winner Mr Yahya Arif – working for Haji Husein Alireza as a Senior Internal Auditor was called to collect the raffle gift. “The seminar was indeed very informative and useful, thanks IMA Chapter for bringing new information for us” said one of the audiences. “We left the other chapter event and joined this one, we found the structure and subject very nice and it doesn’t bore you, the one we left was far boring” said another guests. Jeddah, KSA, January 25, 2017– Over 70 members and guests of IMA’s (Institute of Management Accountants) local chapter in the western province of Saudi Arabia gathered on Sunday, January 22, to talk about current economic conditions and new regulatory affair. The sharp drop in the oil price has hit the Saudi economy hard. According to the results of the ACCA/IMA Global Economic Conditions Survey (GECS) for Q4 2016, the country’s economy is not at risk of a fiscal crisis, but fiscal policy will need to be tightened further in order to put its finances on a more sustainable footing. On Sunday, IMA members and guests attended the event held at the Village Restaurant in Jeddah. Jason Mefford, president of Mefford Associates, talked about Governance, Risk Management and Compliance (GRC) as a means to protect companies and employees during difficult transition periods. “Businesses fail due to noncompliance with strategic management. No matter how advanced and enormous the company is, there will always be weaknesses in the controls of set procedures. This is where management should consider adding controls to safeguard company assets,” explains Shoaib Malik, CMA, a board member of the IMA Saudi Arabia western province chapter. Waleed Bamaraouf, the chapter’s past president discussed the role of GRC regulators such as the Ministry of Commerce and Industry (MOCI), Capital Market Authority (CMA) and the Saudi Arabian Monetary Authority (SAMA) in monitoring compliance standards in the country. In closing, the chapter’s new president Vijay Soni, CMA, announced that IMA is set to give scholarships to few outstanding students from universities in Jeddah. Due to the great turnout, the chapter’s board members also agreeed to hold more current affairs seminars and workshops in the next few months. Visit http://www.ksa-wp.imanet.org to learn more about the IMA Saudi Arabia Western Province Chapter. IMA®, the association of accountants and financial professionals in business, is one of the largest and most respected associations focused exclusively on advancing the management accounting profession. Globally, IMA supports the profession through research, the CMA® (Certified Management Accountant) program, continuing education, networking and advocacy of the highest ethical business practices. IMA has a global network of more than 80,000 members in 140 countries and 300 professional and student chapters. Headquartered in Montvale, N.J., USA, IMA provides localized services through its four global regions: The Americas, Asia/Pacific, Europe, and Middle East/Africa. For more information about IMA, please visit www.imamiddleeast.org. Building camaraderie among finance professionals. Members of the IMA Saudi Arabia Western Province Chapter pose during the chapter’s first event for 2017 on Sunday, January 22 in Jeddah, KSA. Business continuity and resilience. Board members of the IMA Saudi Arabia Western Province Chapter with guest speakers during last Sunday’s event in in Jeddah, KSA. Token of appreciation. 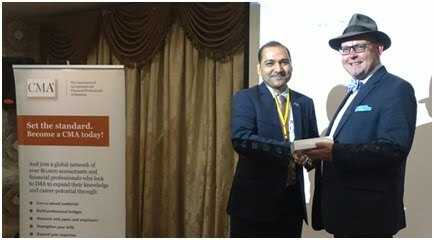 Vijay Soni, new president of the IMA Saudi Arabia Western Province Chapter thanks guest speaker Jason Mefford, President, Mefford Associates, who talked about Governance, Risk Management and Compliance (GRC) during last Sunday’s event in Jeddah, KSA. Mr Waleed and DrAmer Tarek supported the GRC and IMA topics. Mr Blaire Seaford, Kris and Noman spoke interesting topics in between. 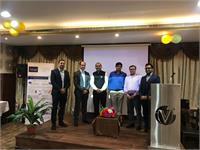 I’d like to express my appreciation to board members, MrSammak, Sherif Aryan, Essam Salem, Shoaib, Devendra Singh and active audience from varied corporates who helped in arranging the event in a short notice with a valuable take away, said Vijay Soni.